Pick Elementary School, which hosts one of three third through fifth grade groupings in Auburn City Schools, continues to benefit from the planning, service, and leadership efforts of Troop 50 Scouts through a pair of Eagle Scout leadership service projects that began concurrently this weekend with the help of Troop 50 Scouts and leaders, parents, and friends. Last summer, Life Scout Davis completed work trailblazing a nearly 800-foot trail that ended alongside the creek running through the school's property, where he also created an outdoor classroom area featuring a table and four benches he and volunteers constructed. The current pair of projects focus on expanding outdoor teaching sites on the school's campus. Andrew checks the final measurements of the base of his creek-side observation deck. Andrew's project will create an creek-side observation deck and teaching area in close proximity to outdoor classroom Davis created last summer. The observation deck will give students studying a variety of environmental and biological science topics the opportunity to learn through witnessing academic material in a natural setting. The deck also will feature fencing alongside the creek, which has a steep drop off of more than five feet, thereby making the entire area safer and more student-friendly. Andrew's project was approved by the Saugahatchee District Eagle Advancement Committee in March 2015. While Chartered Organization Representative Michael Tullier is serving as his Eagle project coach, Scoutmaster Andrew Baird is consulting on the construction elements of the project. raised planters is level, after digging out the area and using a layer of paver base. Robert's project involves constructing two large raised planters/flower boxes for the initial benefit of the schools' third-grade science teachers. The raised planters will give students enhanced opportunities to participate in and witness the plant growth cycle first-hand. The planters will allow students to prepare the soil, plant seeds, and study and record the growth of the plants. In preparing for his project, Robert researched various building materials, eventually deciding to use retaining-wall bricks, as well as how to create a suitable and well-draining soil bed. Robert's project was approved by the Saugahatchee District Eagle Advancement Committee in June 2015. Chartered Organization Representative Michael Tullier is serving as his Eagle project coach. 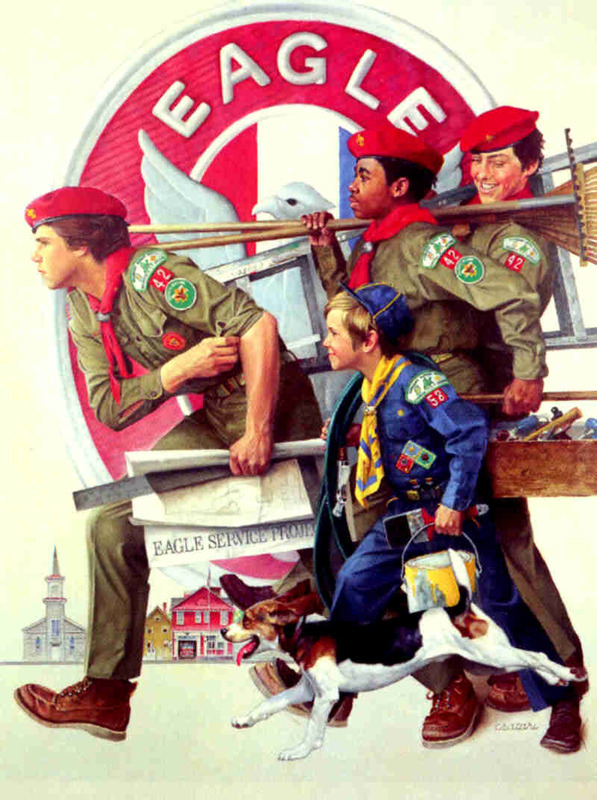 Once the workbook is completed, the Scout must obtain signed approval from his scoutmaster, troop committee chair, and the authorized representative of the beneficiary of the project. 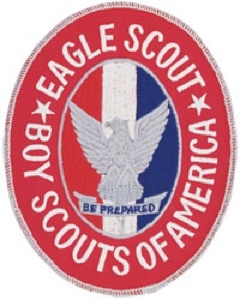 With those approvals and before receiving the district's approval, the Scout then provides the completed workbook to the district's Eagle Advancement Committee along with participating in an in-personal presentation and question-and-answer session with a three-person panel representing the committee. With the district's approval, the Scout then is directly involved in procuring materials and supplies, as well as securing the necessary help from peers and guidance from adult leaders to complete the project according to his timeline. A summary of his completed project is submitted to the Eagle Review Board along with his candidacy packet for the rank of Eagle Scout once he has completed all other requirements for the Eagle Scout rank. The Scout must complete all advancement and project work before his 18th birthday. Andrew and Robert, like Davis, are founding members of Troop 50 and rising seniors at Auburn High School. Andrew is a two-time senior patrol leader (including the troop's current immediate past senior patrol leader) and currently serves as assistant senior patrol leader in addition to previous responsibilities as a two-term patrol leader and one-term quartermaster. He recently was selected as the troop's inaugural James J. Baird Honor Scout Award recipient. Robert has previously served the troop as an assistant patrol leader, patrol leader, and troop guide. All three of the troop's projects benefiting Pick Elementary have been under the supervision of physical education teacher Chuck Cooper, who was the Scouts' PE teacher while they were kindergartners at Auburn Early Education Center, and later as first through fifth graders at nearby Cary Woods Elementary School. Pick Elementary School Principal Debbie Brooks also was the Scouts' assistant principal and principal while they attended Cary Woods Elementary. The troop's online photo album offers additional photos from Andrew and Robert's July 11 and 12 work days, as well as subsequent progress as they work to complete their projects before the start of the 2015-16 academic year in August.